Auto Lifting Jacks for OEM and aftermarket are manufactured by best materials and techniques. 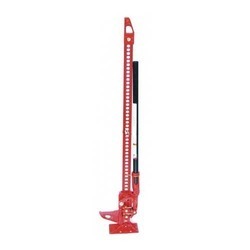 We are also fully equipped to meet specific requirement of customers for any type of automobile jack. Used To House Jacks & Provided Extended Height. These products are available in a powder coated finish and are especially developed for providing maximum stability and strength. We offer these range in various sizes as per client requirements. Owing to the wide experience in this domain, we are instrumental in offering High Lift Jack to our clients. To serve the requisite requirements of our precious customers, we are engaged in providing a qualitative range of Hi Lift Jack. With enriched industrial experience, we have been able to offer a wide spectrum of Heavy Duty Jack. Technical specification are being updated. Product Code: AS HLJ 48"
We manufacture precision engineered Hi Lift Jack available with in a wide variety of chassis, designs, ancillary features leading to our immense popularity. 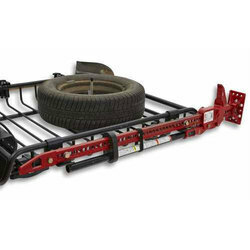 we provide our equipment with desired chassis.